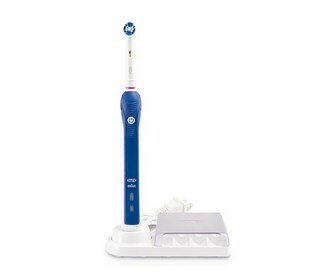 The Oral B Precision 3000 Professional Healthy Clean Rechargeable Electric Toothbrush has a unique ProWhite brush head that provides whitening and superior cleaning. It has advanced polishing to remove tough surface stains. The ProWhite refill brush head has Indicator bristles which fade half-way to indicate when to replace brush head for better cleaning. There are 3 cleaning modes, Daily Clean, Sensitive, and Whitening mode. The Precision 3000's brush head features up to 40,000 pulsations and 8,800 oscillations per minute for a superior clean. A helpful on-handle timer buzzes every 30 seconds to let you know when it's time to focus on brushing the next quadrant of your mouth. 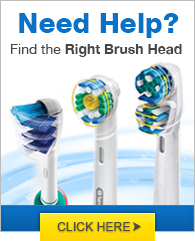 The brush also alerts you when you have brushed for the dentist-recommended time of 2 minutes. The Precision 3000 is compatible with a wide range of Oral-B electric toothbrush heads so you can get the clean you need, every time. The Oral B Precision 3000 has many exciting features for users of all types. You can extend the lifetime of your Oral B Precision 3000 with the purchase of a FactoryOutletStore Factory Protection Plan. 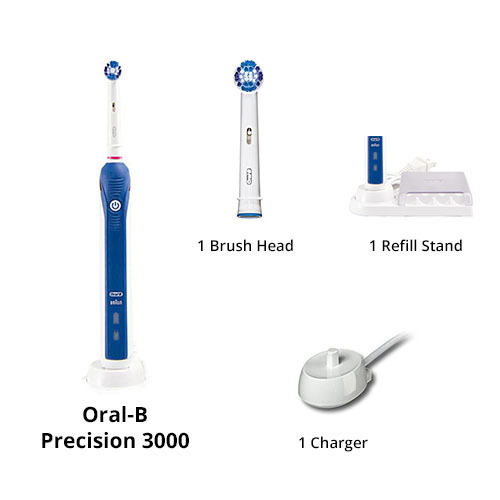 See the Oral B Precision 3000 gallery images above for more product views. FactoryOutletStore stocks a full line of accessories like BreathRx Antibacterial Mouth Rinse, BreathRx TongueScraper, and BreathRx Whitening Toothpaste for the Oral B Precision 3000. The Oral B Precision 3000 is sold as a Brand New Unopened Item.